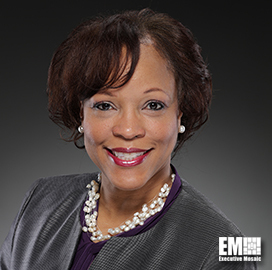 TYSONS CORNER, VA, June 27, 2018 — Helene Fisher, president of mission services and solutions at DLH, has said the automation of trusted data collaboration will bring opportunities to the federal healthcare sector as stakeholders seek to streamline the data analysis process. She told ExecutiveBiz in an interview published June 21 that artificial intelligence and machine learning will serve as the “cornerstone” to drive efficiencies and scalability in healthcare while also fostering the reliability and security of data. The DLH executive also noted that hybrid cloud, data mashups and standard data exchanges will also work to impact federal healthcare.